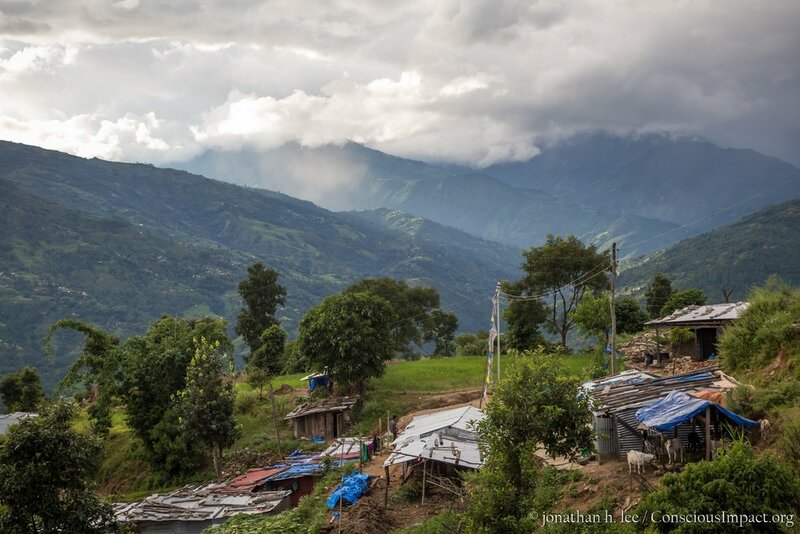 On April 25th, 2015 an earthquake rocked the hills of Takure, bringing down all but a couple of the homes which had been lived in for generations. 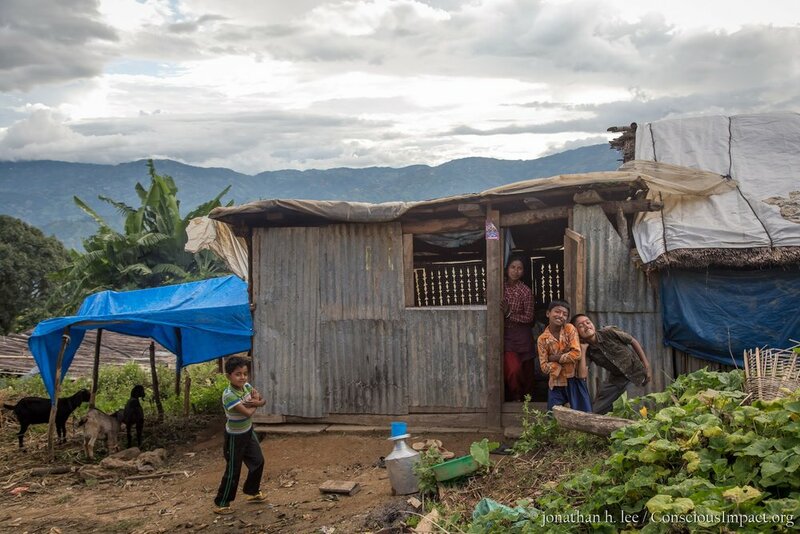 It has been three years and, still, not all families have had the opportunity to rebuild their homes. 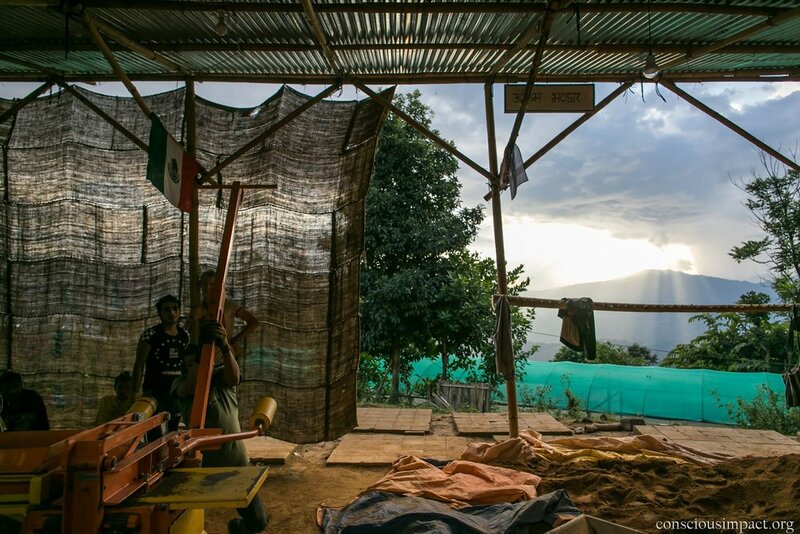 We are working to help create opportunities for families to not just rebuild but to rebuild sustainably. 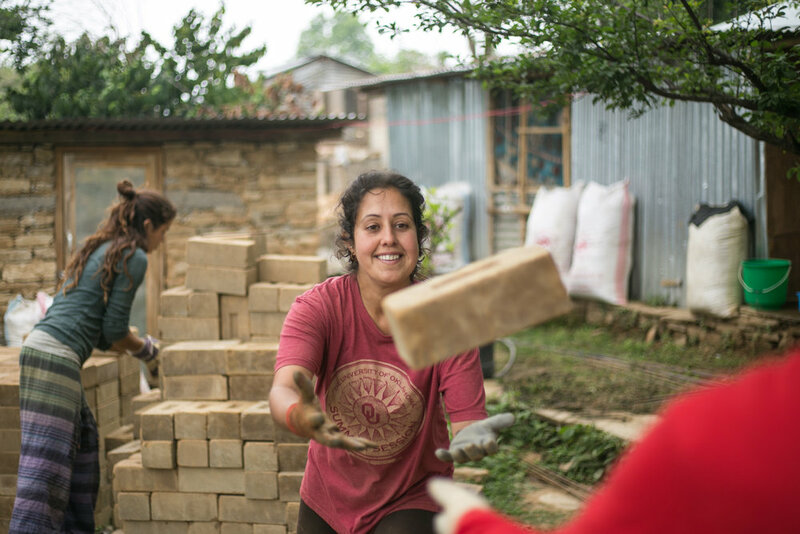 The most accessible building material in Nepal is clay-fired bricks which account for 60% of the city’s pollution, cause extreme deforestation, and create unstable working conditions for locals. We are working with locals to provide an alternative. 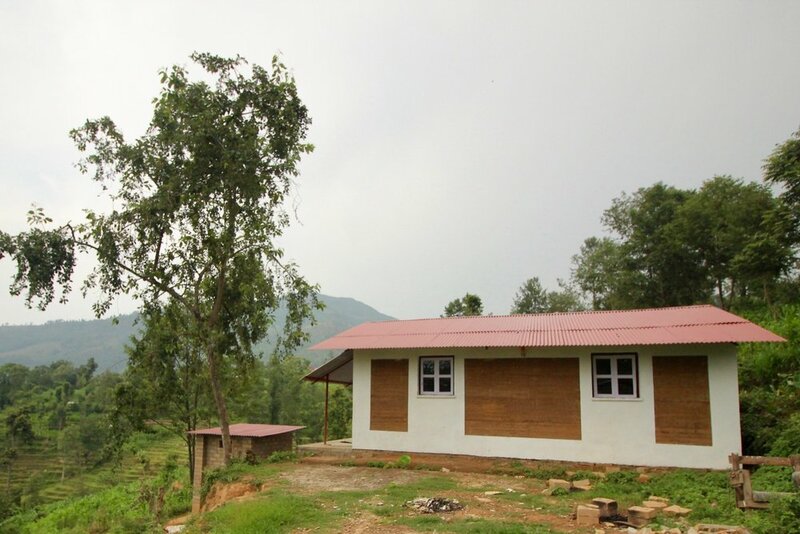 We strive to support the Sindhupalchowk region in rebuilding sustainably with local materials. 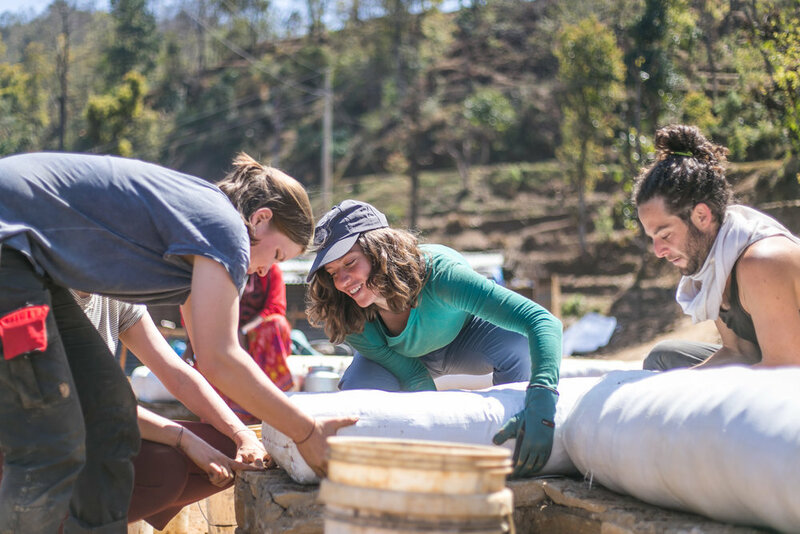 Our volunteer team works alongside local community members to produce Compressed Stabilized Earth Blocks (CSEB) at The Takure Training and Production Center. 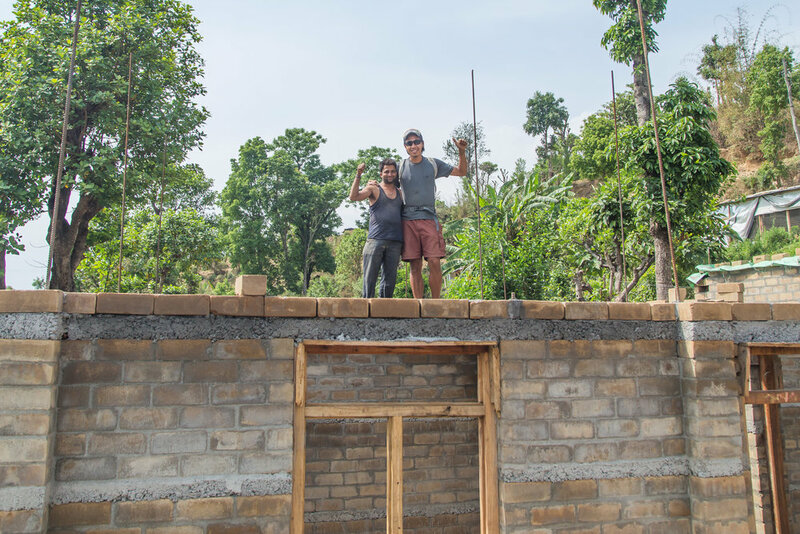 The earth blocks are composed of local soil, sand, and a small percentage of cement. 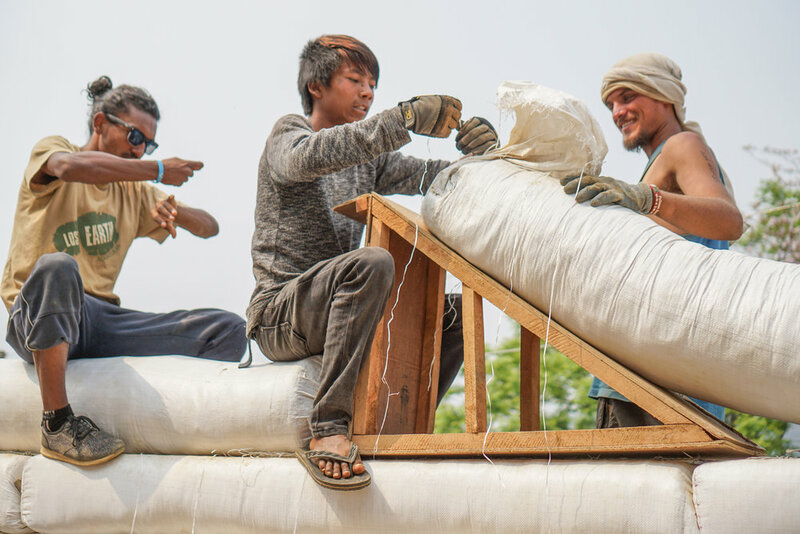 These CSEB have already been used to complete The Siddhartha Primary School, a senior center, a community center, orphanage, and homes in the surrounding community. 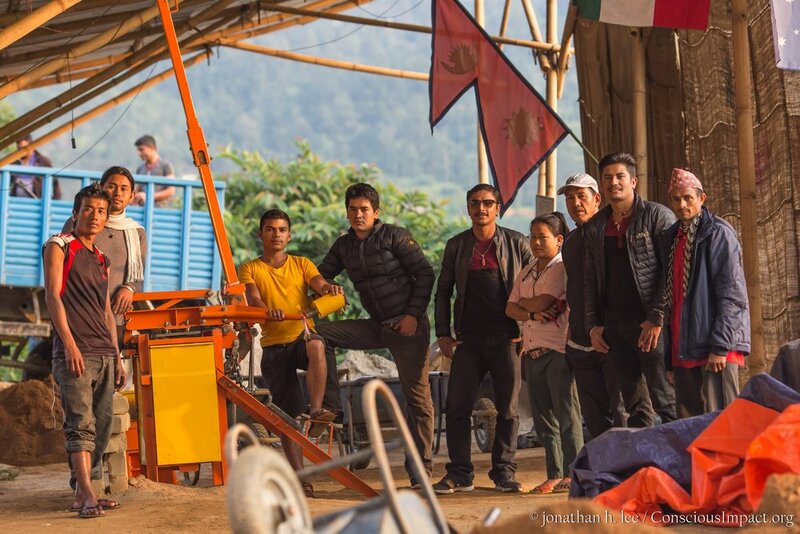 The Training Center currently provides fair, full-time employment for over a dozen local Nepalis. These jobs allow locals to work within the community and stay with their families.. 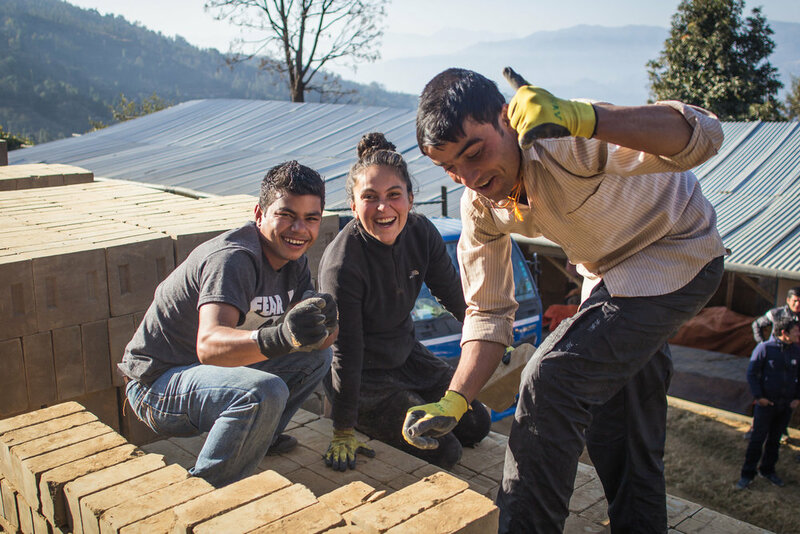 Ultimately we envision The Training Center as a self-sufficient, Nepali run business which can function as a national hub for local, culturally-relevant, sustainable, earthquake-resistant, and affordable technologies in building. 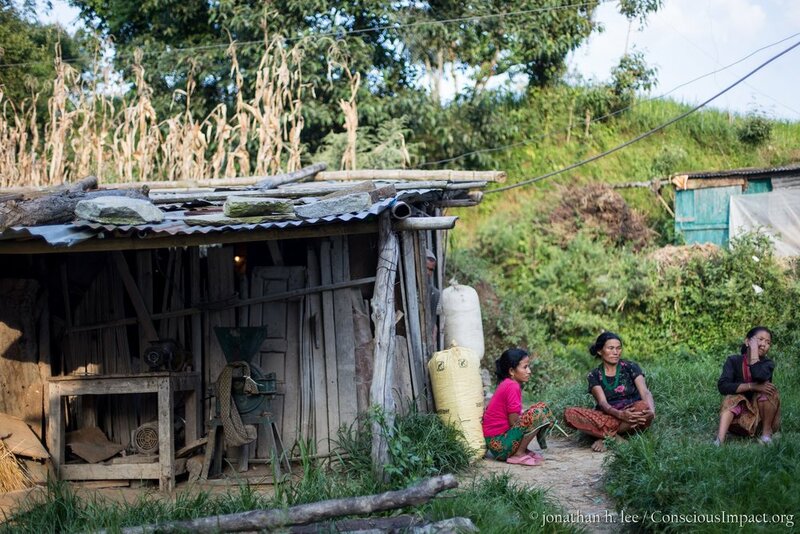 It has been three years since the ground shook and hundred of thousands of families in Nepal lost their homes. Now the dream of rebuilding is finally coming into fruition. 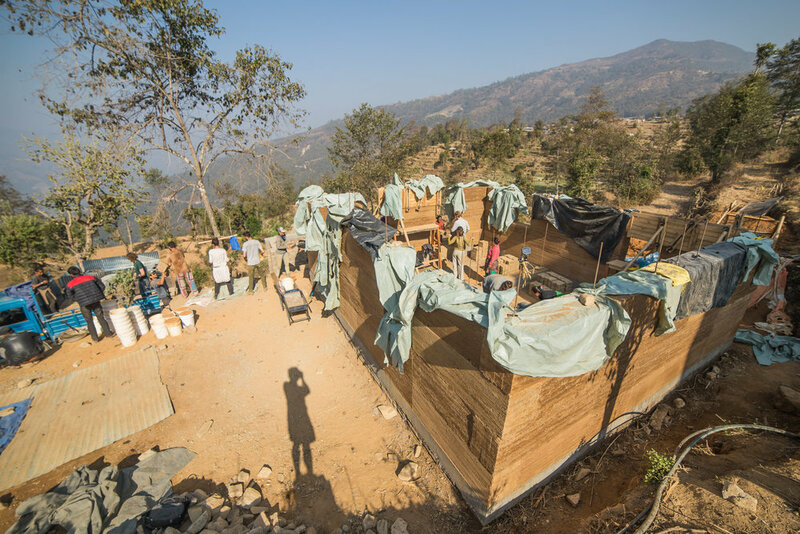 The government recently began distributing foreign aid funds for reconstruction, which will be allocated overtime to insure earthquake resistant construction. The process of rebuilding is slow but one we are committed to. 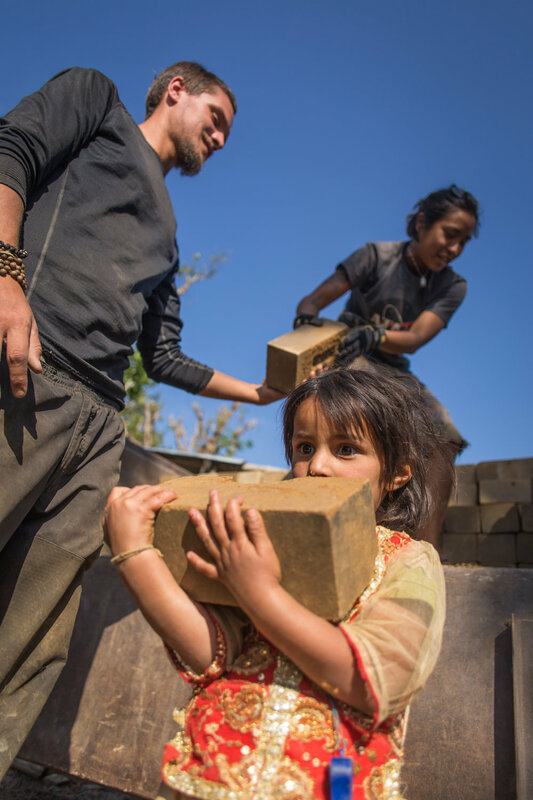 We are excited to share that this year thirty families chose to build with sustainable, locally-made CSEB instead of red clay bricks which contribute to 60% of the pollution in Kathmandu. 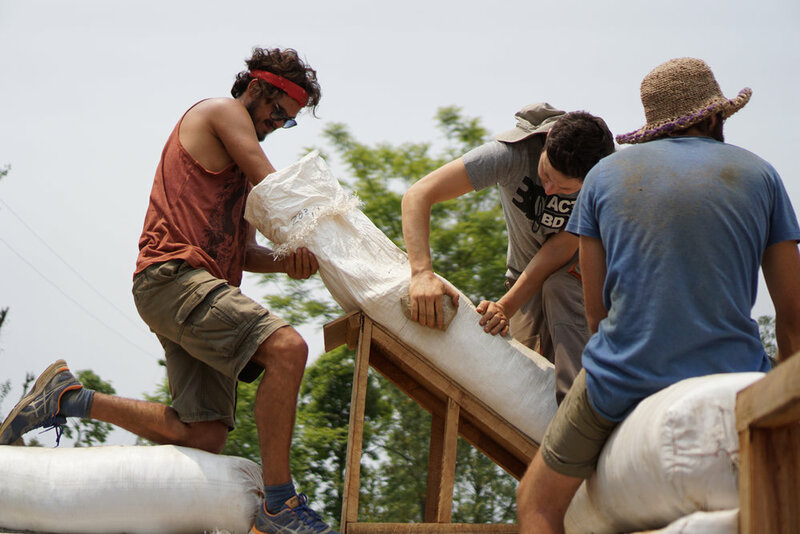 Earthbag construction is an inexpensive method using mostly local soil to create structures which are strong and can be quickly built. Large polypropylene bags are filled will moist subsoil which contains enough clay to become cohesive when tamped. 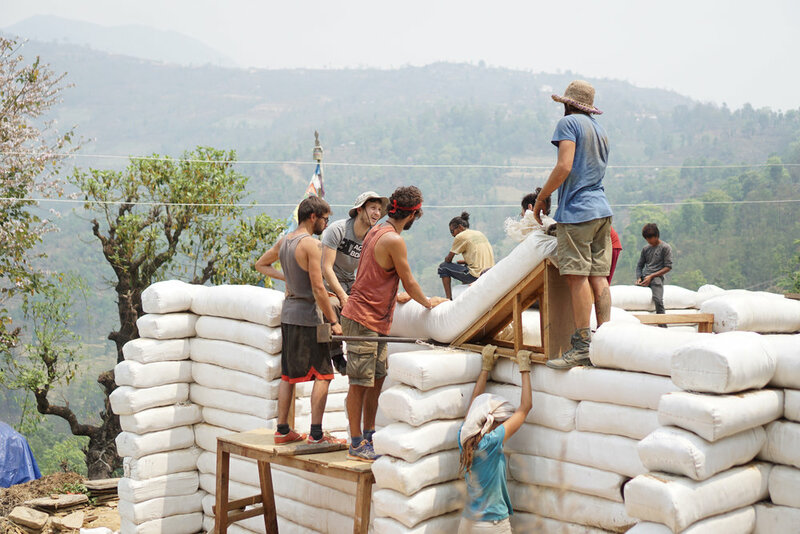 Walls are gradually built by laying the bags in courses which are then tamped and form a staggering pattern similar to that with bricklaying. 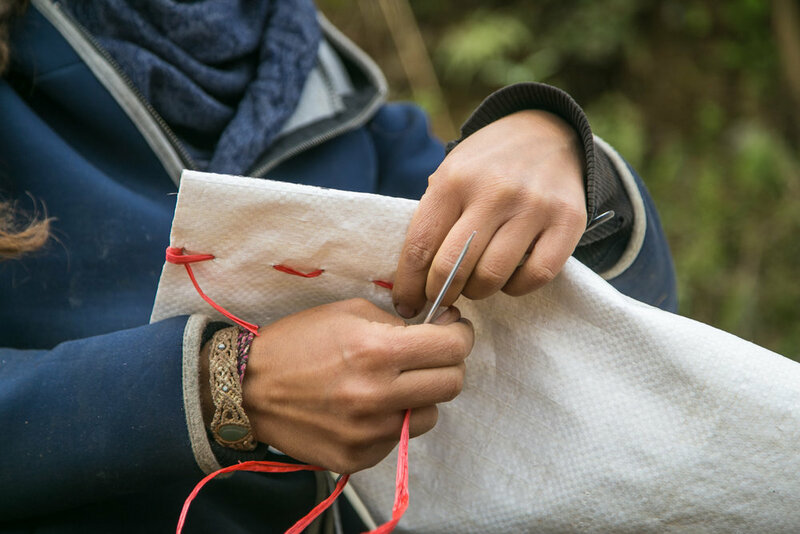 To improve friction between bags and wall tensile strength, barbed wire is placed between courses. 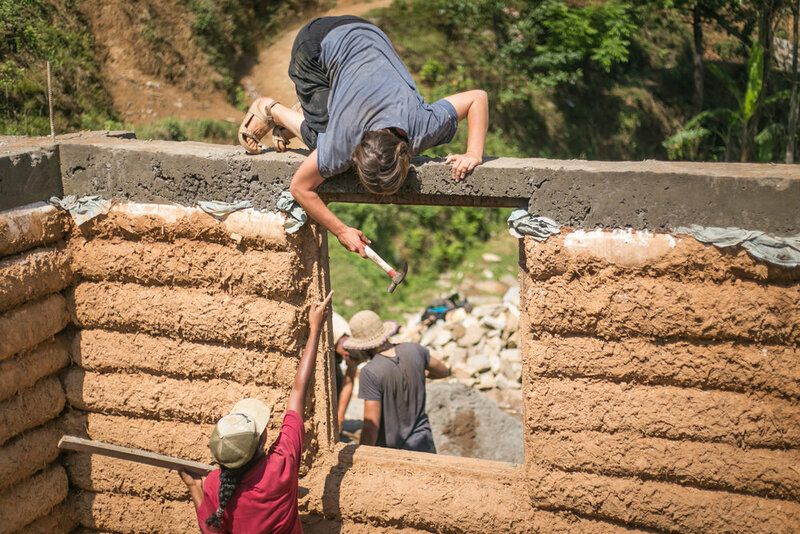 Rebar is then hammered into the walls to strengthen corners and provide earthquake-resistance. 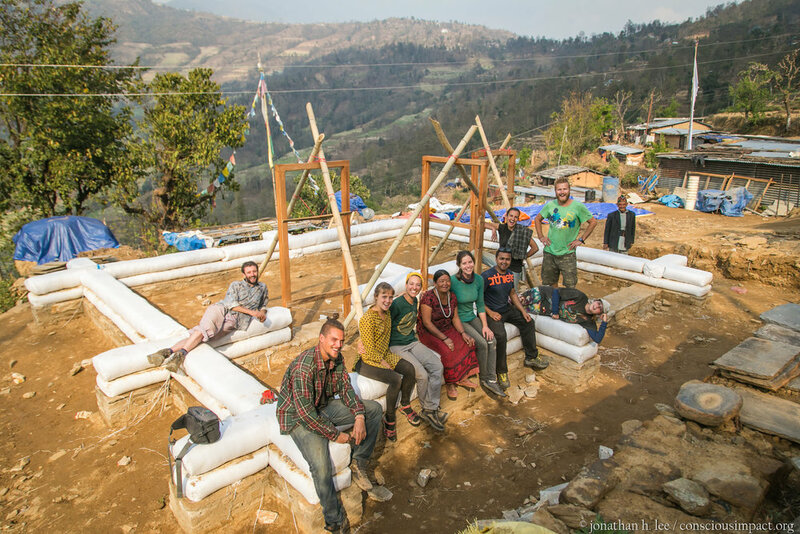 Once plastered, the earthbags remain safe from water and solar degradation. 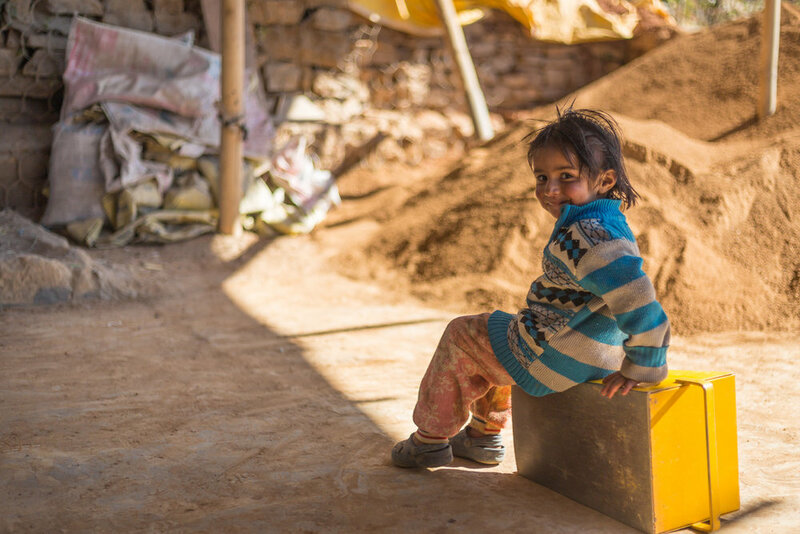 Rammed earth is an ancient earth-building technique that compacts sand, gravel, and soil to make full rock-wall panels. This technique mimics how nature makes rock by compacting sediment in place. 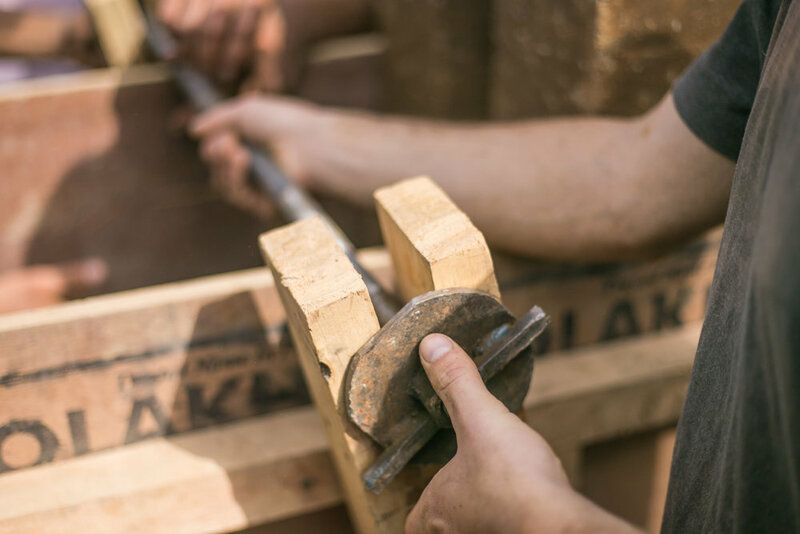 Using a wooden frame to hold it all in place, the earth mixture is manually compacted using steel rammers. 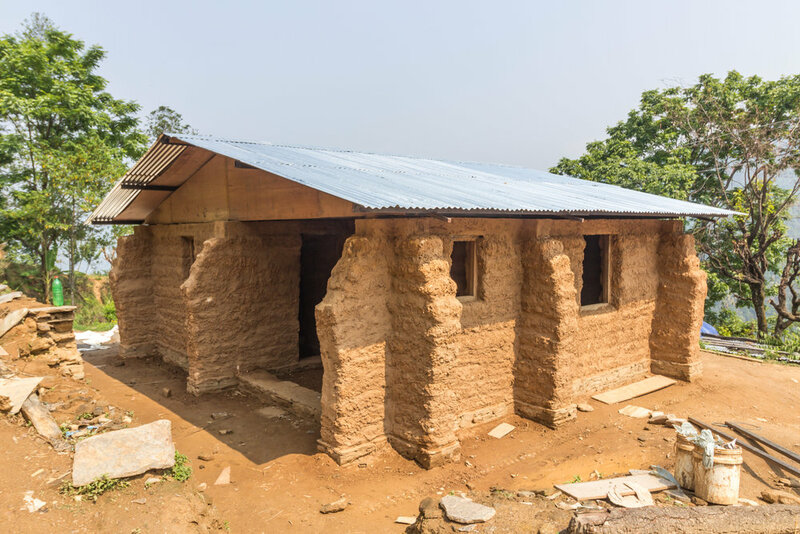 This technique allows for the construction of a sustainable, affordable, long-lasting, well insulated, and earthquake resistant home.